Before beginning, you must have idea on how to start a medical marijuana dispensary. However, you know the fact that marijuana is not a common product that you can sell anytime you want; you need to look for a place that does not consider Marijuana as illegal to those who truly needs its capacity to heal or to combat pain. Advices from a business expert can help us maximize our knowledge in entrepreneurship. Experiences from an existing successful marijuana dispensary can increased our hope and to consider government’s laws and restrictions can definitely set a firewall from hassles of being jailed or fined. Start seeking possible clients and their demands. 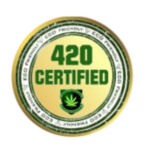 As others may have their own categories in choosing providers of their cannabis needs. And last, education is a key to success from where you can gather knowledge on how to start a medical marijuana dispensary. Look for an online help or course just like 420 college site that truly understands the business. They give tips on how to start a medical marijuana dispensary. There are many rules you can follow in case, you want to open the dispensaries at California. Given below is the overview of steps that the person should take at a time of getting the permit to open the dispensary. 1. First step is an application form. Application form should be submitted and completed with all necessary documents to Secretary of State. 2. There are only some locations where you can have the dispensary established. For this particular reason, it is very important that you contact relevant authority as well as verify if location of your interest will meet their requirements. 3. Whenever you make the application, you will have to submit your own fingerprints and for all the primary care givers. Then you can make the appointment at City Clerks’ office & get your fingerprints taken. 4. One more important step is criminal background of an applicant. Police department may conduct the criminal background history check and can as well verify that all details contained in an application form are right & complete. 5. You are also required to get the Sign Permit as it is been proposed. Furthermore, sign that you select to place will comply with rules of municipal code and should not have any kind of images of marijuana plant or word marijuana itself. 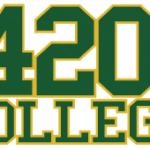 For a full break down and step by step instructions on how to start a marijuana dispensary, enroll in 420 College.